The aesthetic of Film Noir, defined by the use of chiaroscuro in lighting and composition is the most beautiful and cinematic of filmmaking styles. The contrasting style of light and shadow, uses the medium of film to it’s full potential, as film is essentially the act of capturing and storing light. The dark environs of Film Noir are inhabited by equally dark characters and plots. The machinations of these corrupted and morally ambiguous characters, has proven to be a universal theme that has made Film Noir a relevant and engaging genre for over six decades. 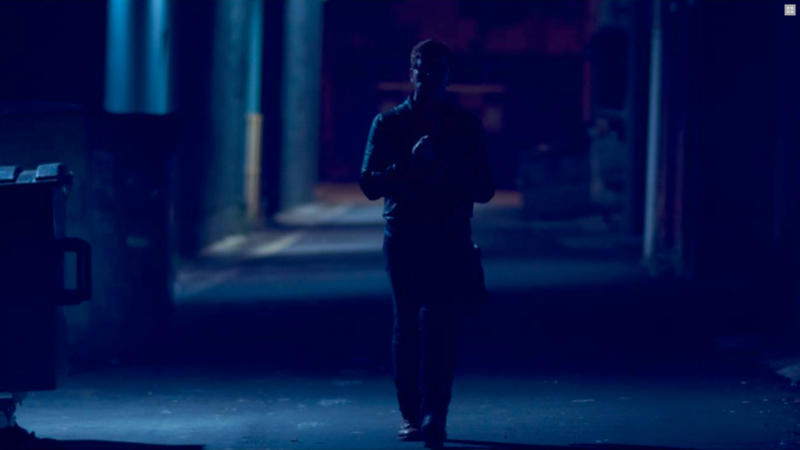 With Killers &amp; Thieves the goal was to make a digital Neo-Noir that was neither parody nor cliché. The aim was to mix the original filmmaking techniques of Film Noir with a completely digital workflow to create something new. The question is, what would a 2k Neo-Noir look like and what would the digital elements add or take away from the Film Noir style ? For all its beauty and influence Film Noir is a term that was coined after the fact. Filmmakers, influenced by the German expressionists of the twenties and thirties and heavily restricted by the Hayes code of morality, where making low budget, black and white melodramas. B pictures that where shot on the back-lots or in the streets with scripts that came from pulp fiction novellas. They were using new, smaller cameras that allowed them the freedom to leave the studio, with lots of key and back lighting but very little fill. They were filmmakers pushing the boundaries of their art, restricted by tight budgets, mixing new technology with traditional photographic techniques. From the Maltese Falcon to Touch of Evil they represent some of the most iconic films ever made. The classic noir period came to an end in the late fifties as Hollywood continued to change and innovate. The integrated studio system diversified as distributors and cinema chains took over the business of delivering movies to audiences. The films were also changing as moral restrictions were relaxed, colour film stocks became more popular and a greater diversity of film making styles flourished. And yet some of the best films of the genre would be made over the next six decades, films like Chinatown, BladeRunner, LA Confidential, Miller’s Crossing, Memento and Se7en. Unlike the classic Noirs of the fifties and sixties, these filmmakers were aware of the genre of Film Noir and were consciously referencing the aesthetic. These post Noir films are often referred to as Neo-Noir. Celluloid film has always been at the very heart of the Noir aesthetic. From the grainy 16mm black and white film stocks of the early forties, to the 35mm colour and anamorphic lenses used in Chinatown and even the huge 70mm imax sequences from The Dark Knight. While digital editing and special effects have crept into the genre over time, Noir and Neo-Noir films have always been defined by their mixture of lighting and film stocks, but the last five years has seen a revolution in digital cinematography. Cinema cameras with 2k, 4K and even 6K resolution are now the norm. With a dynamic range that is greater than analogue film stocks and sensors capable of delivering beautiful skin tones in low light, their popularity is such that it is now almost impossible to get film processed outside of New York, LA and London. Like all forms of new technologies these cameras are becoming cheaper so that now the Red, Canon and Black Magic cameras equate in both price and sensor size to the Bolex, Eclair and Arri film cameras of old. There is now a plethora of digital cinema cameras shooting at 2k and beyond and while their technical specifications share a lot of similarities to film, they also have a unique digital look. For instance, with 2k and 4k resolutions, the images are very sharp and very clean, the exact opposite of Film Noir which is renowned for grainy stocks and a slightly soft look, especially when shooting close ups of female characters. This dark, grainy and dirty image reflects both the dark underbelly of the world of the Film Noir and the dark souls of the characters that inhabit them. Stylised noir lighting mixed with this clean, crisp digital image creates something entirely new. There is a temptation to add film noise in post production to dirty up the image in an attempt to make it more filmic. With digital film making the images can be re-imagined completely in post production. Sin City is a great example of this, it used an entirely digital production process, including actors working against green screens. The Noir images where then created entirely in post production, in effect re-drawn to make the film look like a graphic novel. This created a highly stylised Neo-Noir reminiscent of the cover art from the hard boiled detective novels of the forties that the genre was coined from. But what if we don’t re-imagine or redraw the image, what if we keep these clean digital rushes? What does this clean image mean to an audience? What do they feel when they see it? Does this purity in the image take away the dark ominous world of the noir or does it allow the audience to better see the detritus of the world that the filmmakers create. In other words is it a cleaner image or a clearer image of a darker world? Killers and Thieves is a fifteen minute Neo-Noir filmed on the Black Magic Cinema Camera at a resolution of 2.5k using Nikon prime lenses that are over thirty years old. The film was shot both in studio and on location in derelict parts of Sydney, with a restrictively low budget that would never have allowed for film processing costs. Instead the money was spent on a Gaffer and Best Boy to create a noir aesthetic with an emphasis on key light and back light. The film features three morally corrupted characters. The protagonist is a Police Detective obsessed with stopping a known killer (Smith) whom he is unable to catch. The Detective laments the change in the city that allows people like Smith to exist and he is unable to take the law into his own hands to stop him. At the same time a Thief breaks into Smith’s apartment and steals a large amount of cash. The Detective chases them both through the city, coming across a number of nefarious characters including a Snitch and the Thief’s Fence. The Detective is desperate to stop Smith from killing the Thief, who represents the closest thing to innocence in this world. The Detective feels that if he can stop Smith then he can stop the decline of the city around him. Unfortunately the only way to do it is to kill him in cold blood. The goal was to mix the digital process with a classic style of film making. The opening shots are drawn out with minimal camera moves to reflect the state of the characters minds. They are all in control and comfortable within their environment, especially the Thief and the Killer who feel safe in the shadows. As events start to unravel and the characters lose control the editing and pacing becomes faster and builds to the final scene which is shot hand held in daylight where the characters feel exposed and circumstances are out of their control. Production design was used to create a city of no particular time or origin for the characters to inhabit. A city that is not an impersonation of L.A. or New York but an “every city.” A place of sanctuary to morally corrupt characters who live in the shadows; a place that represents the underbelly of every city. In Killers &amp; Thieves Both the mise-en-scène and themes of Film Noir have been adapted to a fully digital production process. I decided not to add film grain because I wanted to keep the cleaner, crisper digital image. This allowed me to populate the world with more detail and to use a more subtle, layered approach to filling the frame with information about the world I’m creating. There is a lot more freedom now for filmmakers to fine tune their films through colour grading and digital effects, freedom that filmmakers of old didn’t have. Perhaps the most interesting use of this digital style is not when the technology is used to mimic the films of old but when the filmmakers use the style as inspiration to create something new. In a similar way to what the filmmakers of the fifties where doing when they looked at the older techniques of Chiaroscuro, mixed it with the universal themes of morally corrupted characters and used the technology of their day to create Film Noir. I don’t know if Killers &amp; Thieves has managed to create something new, but at the very least we know what a 2k Neo-Noir short film looks like. 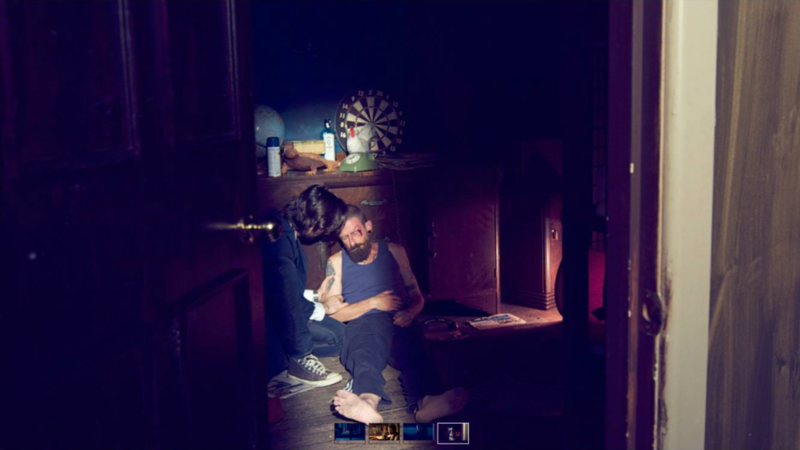 Nicholas Price is a Sydney based DOP | Producer who has made commercials, video clips, TV, documentary and short films. Nick is a Masters graduate of AFTRS and is always striving to bring a unique visual style to any project he works on.